Product prices and availability are accurate as of 2019-04-22 11:00:41 EDT and are subject to change. Any price and availability information displayed on http://www.amazon.com/ at the time of purchase will apply to the purchase of this product. 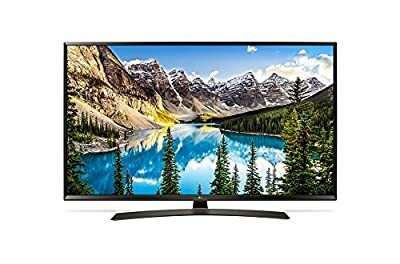 The LG 65UJ634 Series 65 inch (165.1 CM) Ultra high definition (UHD) 4K Ultra slim edge-lit LED Smart TV delivers an impressive 4K (3840 x 2160 native) resolution for you to enjoy vivid and life-like image quality far better than previous display technologies. With four times the resolution of Full HD, you will see the finest details portrayed with the utmost clarity even when standing up close to the screen. This LG TV supports HDR Pro that bring a life-like clarity to the images it projects you can now enhance the colors by adjusting the brightness of your screen to bring out every detail to enjoy vivid and vibrant content. 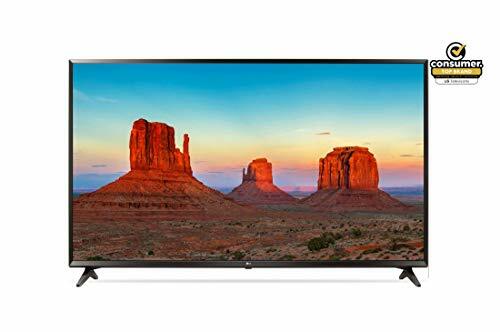 In addition as a Smart TV, this 65UH603 has built-in Ethernet LAN port and Wi-Fi connectivity as well as LG's webOS 2.0 user interface that allows you to tap into streaming entertainment services and browse your favorite websites directly on the TV's large display. For connecting multiple high-definition sources, this TV is equipped with 1 x USB ports and 3 HDMI inputs. It has also has a component video input that doubles as a standard composite video interface for connecting lower resolution sources. Additionally, this TV has two built-in speakers for a combined 20W of audio Power.